Achalasia is the most recognized motor disorder of the esophagus, and is the only primary motility disorder with an established pathophysiology. The term means “failure to relax,” and describes the primary predominant feature of this disorder, a poorly relaxing lower esophageal sphincter (LES) seen in association with aperistalsis of the esophageal body. Achalasia occurs with equal frequency in men and women, without racial predilection. Case studies show an age distribution between birth and the 9th decade, with the peak incidence between 30 and 60 years of age. Achalasia remains an uncommon but worldwide disorder: the incidence of the disease is about 1/200000 per year. However, fewer than 5% of all patients with achalasia manifest symptoms before the age of 15 years (0.11 case per 100000 children). Achalasia should be suspected in any patients complaining of dysphagia for solids and liquids with regurgitation of bland food and saliva. The onset of the dysphagia is usually gradual, initially, it may be primarily for solids, however, by the time of clinical presentation, nearly all complain of dysphagia for solids and liquids while eating and drinking, especially cold beverages. “Power swallows” and carbonated beverages increase intraesophageal pressure, and they may be used to improve esophageal emptying. Regurgitation becomes a problem with progression of the disease, especially when the esophagus becomes dilated. Regurgitation of bland, undigested retained foods or accumulated saliva, sometimes misdiagnosed as postnasal phlegm or bronchitis, occur postprandially and at night, often waking the patient from sleep because of coughing and choking. Rarely, aspiration pneumonia is a problem. Chest pain occurs in some patients, primarily at night, and is especially seen in patients with milder disease when the esophagus is minimally dilated. The mechanism of chest pain is unknown, but it is not simply repetitive episodes of simultaneous contractions, causing the esophageal lumen to be occluded. Whereas pneumatic dilation or surgery usually relieves dysphagia and regurgitation, the chest pain in achalasia patients responds much less predictably. Fortunately, the chest pain seems to get better over time, possibly as the esophagus dilates. Heartburn is a frequent complaint in achalasia, despite the fact that achalasia is not associated with increased episodes of acid reflux by pH monitoring. The cause of this symptom is speculative, but probably related to retention of acid beverages such as carbonated or fruit drinks and, in some cases, the production of lactic acid from retained food in a markedly dilated esophagus. Since may other conditions may mimic achalasia, an accurate diagnosis is critical. Three tests are used to diagnose the condition. When achalasia is suspected, a barium oesophagram with fluoroscopy is the best initial diagnostic test. It is a series of X-rays of the oesophagus and stomach. The patient drinks a liquid that contains barium (a silver-white metallic compound), that coats the oesophagus and stomach, and x-rays are taken. The distal oesophagus is characterized by a smooth tapering from the closed LES, resembling a bird’s beak, and sometimes an epiphrenic diverticulum is noted. With a modification of the barium oesophagram the test is individualized for each patient and primarily assesses oesophageal emptying of barium in the upright position over 5 minutes. Tests can be repeated serially after therapy to evaluate oesophageal emptying and correlate it with the patients’ symptoms. Esophageal manometry is required to establish the diagnosis of achalasia, often in its early stages, and must be done in any patient where invasive treatments, such as pneumatic dilation or surgical myotomy, are planned. Because achalasia only involves the smooth muscles of the oesophagus, the manometry abnormalities are confined to the distal two-thirds of the oesophagus. Esophagoscopy is a procedure to look inside the oesophagus and allow checking out if an oesophageal cancer is present, which can also obstruct the passage of food and dilate the oesophagus. An esophagoscope is inserted through the mouth or nose and down the throat into the oesophagus. An esophagoscope is a thin, tube-like instrument with a light and a lens for viewing. It may also have a tool to remove tissue samples, which are checked under a microscope for signs of cancer. The stimulus to activate the most frequent peristalsis in the alimentary canal is the distension of its walls: when at any point of the GI tract accumulates a certain amount of material, the distension of the wall of the digestive tract, stimulates via the enteric nervous system, the Counting of the wall 2-3 cm upstream from this point and it appears that the ring contraction starts the bowel movement (Arthur C Guyton, 2006) . The progression of the bolus is permitted by swallowing (voluntary) and the peristaltic waves that run through the esophagus (involuntary). The peristaltic waves are divided into primary and secondary. The first are waves that occur proximally and travel along the esophagus. The formation is preceded primary wave of about 0.5 seconds by a wave negative of relaxation that allows the release of the lower esophageal sphincter (it allows in this way the passage of the food bolus from the esophagus to the stomach). These waves arise because of a reflex mechanism induced by swallowing, their transmission is instead related to the stimulation of the intrinsic plexus due to the distension of the organ caused by the presence of the food bolus. This stimulation also causes the onset of secondary peristaltic waves, starting at the aortic narrowing of the esophagus and ending at the end of the thoracic esophagus, and independent of swallowing. The esophageal muscles, both smooth and striated, is innervated mainly by branches of the vagus nerve. The somatic motor fibers of the vagus nerve form neuromuscular junctions with striated muscle fibers, while the visceral motor fibers are parasympathetic preganglionic fibers and form synapses primarily with the nerve cells in the myenteric plexus. The enteric plexus neurons directly innervate smooth muscle esophagus fire. The opening of the lower esophageal sphincter occurs begins when the wave of esophageal peristalsis and is mediated by fibers of the vagus. In the absence of esophageal peristalsis, the lower esophageal sphincter is closed. The adjustment of the opening and closing of the esophageal sphincter accompanying peristalsis is given to intrinsic and extrinsic nerves and hormones and neurotransmitters. The direct fiber stimulation sympathetic oesophageal sphincter inferior is caused to contraction, while the vagal inhibitory fibers cause the relaxation of sphincter. Acetylcholine and Nitric Oxide are crucial neurotransmitters in generation of the peristaltic wave: whereas acetylcholine represent the most important excitatory neurotransmitter regulating gastroesophageal motility, nitric oxide (NO) represents the most important inhibiting neurotransmitter. Acetylcholine affects many ionic currents in esophageal circular smooth muscle, including calcium-sensitive chloride and nonselective cation currents. Chloride currents cause depolarization of the smooth muscle membrane, which in turn leads to entry of extracellular calcium via voltage-sensitive calcium channels. Activation of nonselective cation channels does not lead to significant membrane depolarization. Their activation may result in calcium entry by non–voltage-dependent mechanisms. Acetylcholine also inhibits a number of potassium channels, which would serve to enhance its excitatory effect. In a second messenger pathways involved in acetylcholine-induced contraction are complex, acetylcholine acts on muscarinic type 2 (M2) receptors that are linked to Gi3-type G proteins within the muscle membrane. These G proteins then activate phosphatidylcholine–specific phospholipase C and D to generate diacylglycerol, which interacts with arachidonic acid to activate protein kinase C.
PKC is linked to two separate mitogen-activated protein kinase pathways: one involves extracellular signal-regulated kinase 1/2, and the other heat shock protein-27 linked to P38 kinase. Either of these pathways can then ultimately lead, via activation of a series of intermediate proteins, to phosphorylation of MLCK. These enzymes are important in the mechanism of contraction in muscle, because it will go on to phosphorylate the myosin light chain at serine residue 19. This will enable the myosin crossbridge to bind to the actin filament and allow contraction to begin (through the crossbridge cycle). NO is produced by Nitric oxide synthases (NOSs) , a family of enzymes that catalyze the production of nitric oxide (NO) from L-arginine. Nitric oxide produces hyperpolarization of the circular smooth muscle cell membrane via a cyclic guanosine monophosphate (cGMP)-dependent pathway. It was found that NO acts through the stimulation of the soluble guanylate cyclase, enzyme catalyzes the dephosphorylation of GTP to cGMP, which activates protein kinase G.
Numerous theories exist regarding pathogenesis, but a degenerative lesion involving intramural nitric oxide-containing inhibitory neurons in the distal esophagus and LES appears to be central to the disease. Lack of the inhibitory influence prevents the normal sequencing of the distal contractions (resulting in aperistalsis) and normal relaxation of the LES with swallowing. Pharmacological and histological studies have shown that neuron degeneration is due to inflammatory and fibrotic process. Nitric Oxide (NO) represents the most important inhibiting neurotransmitter regulating gastroesophageal motility, whereas Acetylcholine represent the most important excitatory neurotransmitter. Therefore, an alteration of the balanced action of these neurotransmitters on lower oesophageal sphincter (LOS) can lead to the abnormal motility in OA . Patient with OA show, in fact, a reduced inhibitory neurotransmission (NO) to interstitial cells of Cajal (ICC) in the LOS. Studies on animal models (nNOS and ICC-IM knock out mice) showed that the absence of NO synthesis can determine hypertone and lack of relaxation of LOS, whereas absence of ICC, mediators within intramural plexuses, does not impair relaxation. Other neurotransmitter have can have a role in OA pathogenesis. In OA, in fact, several Authors described reduction or absence of Intestinal Vasoactive Peptide (IVP) and Neuropeptide Y (NPY). Neuronal degeneration within Auerbach myenteric plexus with intramural aganglionosis and cholinergic intact innervation have been described in patients with OA. The presence of complement components within oesophageal smooth muscle demonstrates autoimmunity, which can be involved in OA pathogenesis. Immunohistochemistry of oesophageal intramural inflammatory infiltrate in OA demonstrate that the disease is immunomediated; the specific ethiologic cause is yet unknown. Antineuronal antibodies versus myenteric and submucosal plexus have been detected in a significantly higher concentration in patients with OA and Gastroesophageal reflux disease (GORD) if compared with controls. Other Authors described the presence of muscarinic cholinergic receptors antibodies in chagasic achalasia that could determine increase of LOS basal tone and impaired effect of myorelaxant medication. The etiological impact of virus infection (VZV, HSV, MV, HPV) in the pathogenesis of OA has been postulated by many Authors without definitive results. At present, many viruses have been evaluated for the pathogenesis of OA (HSV, HHV, HPV, EBV, CMV, VZV, MV), however HSV, VZV and measles (MV) seem to be the most important ones. The impact of these viral infections in determinating OA is still very debated among scientists. At present, the widely accepted pathogenetic hypothesis for adult OA is that of a self-enhanced autoimmune event stimulated by a primum movens of possible infectuos origin, which is however yet unknown. In many cases, the achalasia have a clear genetic component, for example in early diagnosis case (before 6 mouths of age), in familial cases and in syndromin cases of achalasia. One important genetic factor for the pathogenis of achalsia is the HLA-DQ, in particular alleles DQA1-0103 and DQB1-0603. Interestingly, near the HLA-DQ region maps the gene for the motilin, a 22 amino acid hormone which is expressed in the gastrointestinal tract and is involved in its motility. Besides the HLA region, there is VPAC1, the gene for the receptor of VIP.an important neuro-modulator surely involved in the pathogenesis of achalasia and an impaired function of its receptor has been suggested as one of the possible triggers of the disease. Moreover, the system VIP/VPAC1 is also involved in the modulation of the inflammatory response in other immune-mediated diseases, thus suggesting that the VIP/VPAC1 may play more than one role in the biochemical pathway leading to the disease. Another possible approach is the study of the genes involved in energy metabolism. Recently a mitochondrial origin for at least a subgroup of disorders of visceral motility and in particular intestinal motility, as in MNGIE (mitochondrial neuro-gastro-intestinal-encephalomyopathy, that is caused by mutations in the thymidine phosphorylase (TP) gene (58). TP protein catalyzes the phosphorolysis of thymidine to thymine and deoxyribose 1-phosphate. Altered mitochondrial nucleoside and nucleotide pools may impair mtDNA replication, repair, or both resulting in progressive accumulation of multiple deletions of mitochondrial DNA (mtDNA) and ultimately to oxidative phosporylation (OXPHOS) impairment and reduced energy production. At the end, another possible candidate gene for oesofageal achalasia is the collagen 19 gene (COL19A1), already involved in embryonic development and muscular differentiation in mouse. Recently, it has been demonstrated that in mice deletion of this gene causes a megaesophagus very similar of that of adult achalasia in man. 3 Preventing the development of megaesophagus. The disruption of the LES gradient is best accomplished by pneumatic dilation or surgical myotomy and, less effectively, by pharmacologic agents. The symptoms of regurgitation and dysphagia are the easiest to treat, but chest pain can be problematic in some patients. Overall, using single or multiple modalities of treatment, over 90% of achalasia patients will do well. However, achalasia is never “cured” and touch-up therapies after pneumatic dilation or Heller myotomies are often needed. Pneumatic dilation aims at disrupting the LES by forceful dilation using air filled balloons. This procedure has become easier and more standardized with the development of the Rigiflex balloon system. These are noncompliant polyethylene balloons available in 3 diameters (3.0, 3.5 and 4.0 cm), on a flexible catheter that can be placed over a guidewire at endoscopy. The catheter within the balloon has radiopaque markers which can help identify its location at fluoroscopy. Briefly, the procedure is done at the time of endoscopy, with the balloon placed over the guidewire and positioned across the LES. The balloon is then gradually inflated until the waist, caused by the spastic LES, is flattened or effaced. Pneumatic dilation is now routinely done in outpatient centers, with the patient being observed for up to 6 hours, to ensure that no complications have occurred. Over a third of achalasia patients treated with pneumatic dilation will experience symptom recurrence during a 4 to 6-year period of follow-up. Long-term remission can be achieved in virtually all of these patients treated by repeated pneumatic dilation according to an “on demand” strategy, based on symptom recurrence. The most serious complication from pneumatic dilation is oesophageal perforation, with an overall rate in experienced hands of 1.9% (range 0%-16%). Treatment may be conservative with antibiotics and total parenteral nutrition, or surgical repair through a thoracotomy may be required. Gastroesophageal reflux (GERD) occurs after pneumatic dilatation in some patients. Pneumatic dilatation is most effective on the long term in patients over the age of 40; the benefits tend to be shorter-lived in younger patients. It may need to be repeated with larger balloons for maximum effectiveness. Laparoscopic Heller Myotomy consisted of an anterior and posterior (double) lower esophageal myotomy through a laparotomy. Subsequently, the operation was modified to a single anterior myotomy performed usually through a left posterior thoracotomy. This operation was the primary surgical treatment for achalasia, but high postoperative morbidity, making this treatment much less attractive. This dramatically changed with the introduction of the minimally invasive myotomy by Pellegrini and coworkers, in 1992. Initially performed through the chest, the overall success of the laparoscopic operation through the abdomen is superior to the thorascopic approach. Patients are usually hospitalized for less than 48 hours and can return to work within 1 to 2 weeks. LES pressure can be transiently reduced by smooth muscle relaxants. Nitrates increase the NO concentration in smooth muscle cells, which subsequently increases cyclic guanosine monophosphate levels and results in muscle relaxation. Calcium is necessary for esophageal muscle contractions and its action is blocked by calcium antagonists. Nitrates and calcium channel blockers decrease LES pressure in a dose-dependent manner, with a maximum effect of approximately 50%, thereby temporarily relieving dysphagia. These drugs are taken 15-30 minutes before meals, the improvement in dysphagia is usually incomplete and short lived, efficacy decreases with time, and side effects (headache, dizziness and pedal edema) are common. As a result, there is infrequently a place for these drugs in the clinical management of achalasia. The same holds true for sildenafil, a phosphodiesterase inhibitor that reduces the breakdown of cyclic guanosine monophosphate, the second messenger mediating NO induced relaxation. Botulinum toxin is a potent inhibitor of acetylcholine release from nerve endings. 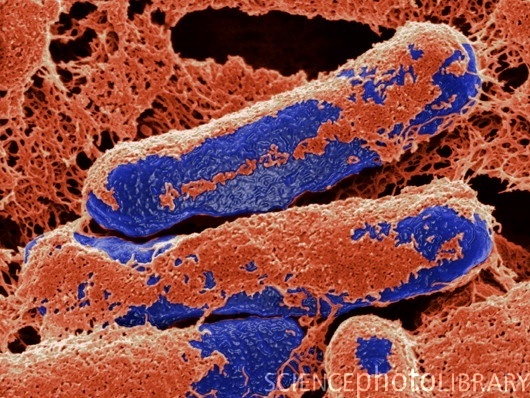 The inactive form is synthesized by the Clostridium botulinum bacteria . Botox cleaves SNAP-25, a cytoplasmic protein involved in the fusion of acetylcholine containing presymptomatic vesicles with the neuronal plasma membrane. The inability to obtain adequate nutrition results in weight loss and easy fatigability. Difficulty swallowing can lead to a voluntary decrease in food intake and alterations in diet that can further impair nutrition. Aspiration can lead to pneumonia, bronchiectasis, and life-threatening pneumonia (aspiration pneumonia). These problems are correctable, either by treatment of swallowing disorders or by provision of adequate calories through an alternative route. Others complications of achalasia are perforation of the oesophagus, regurgitation of acid or food from the stomach into the oesophagus (reflux), coughing, breathlessness, lung and pulmonary infection. Treatment may have its own complications. All drugs have the potential for producing side effects—some allergic and others dose-related. Dilation may result in perforation or less often, gastrointestinal bleeding. These complications are relatively rare with dilation for benign strictures, but are more common if the dilation is performed for malignant strictures or achalasia. Arrigo, B. - (s.d. , 2002). Le diseases of the esophagus: diagnosis and therapy. Laterza . Arthur C Guyton, J. E. (2006). Medical Physiology Arthur C Guyton, John E Hall / elsevier 2006. Elsevier 2006 . Paterson, W. G. (2006). Esophageal peristalsis. GastroIntestinal Motility Online .